Financial translations by expert translators, guaranteeing quality and reliability every time. Whatever your needs, our flawless financial translation services in over 150 languages allow you to expand internationally and make deals overseas, calm in the knowledge that there are no barriers between you and the rest of the financial world. From investment portfolios to shareholder communications, or projects related to accounting translations or Forex (FX), we are equipped to work within any financial area, offering trustworthy and efficient standards throughout. Our professional financial translators, with specialised training in banking and finance translations, can handle projects relating to any area. Our professional finance translators only ever translate into their mother tongue, ensuring a fluent, natural-sounding result. As an ISO certified company, you can rest assured our language services are of the highest quality. With our express services, we can have your accurately-translated files back to you within a matter of hours. We provide financial language services across the banking industry, be it customer communications for a global bank, policies and procedures for a local branch or even personal bank statements. Whether it be quarterly or annual reports, our expert linguists specialised in financial statements are familiar with International Financial Reporting Standards (IFRS). 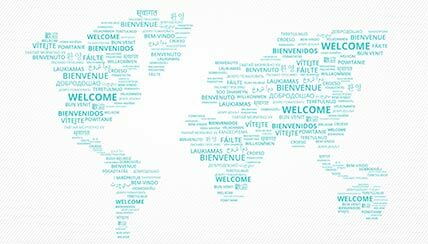 We know that our clients are looking for insurance translation services they can trust, and with expert translators with experience translating policies and claims procedures, that is exactly what we offer. Given the complexity of taxation worldwide, our tax translation services are completed by translators who are experts in the field. From audit reports to double taxation agreements, we can help. Financial Services is a complex sector that requires translators to have an in-depth knowledge of the finance industry and financial markets in order to fully grasp the subtle details of the texts they are handling. By ensuring that the translators responsible for our financial language services have a deep understanding of the sector, we deliver the highest possible quality translation for all of our clients. Add to this the fact that our experienced financial translators will only ever translate into their native language, and you can rest assured that your finished professional financial translation will perfectly capture the detail and meaning of the original whilst reading flawlessly and idiomatically in the target language. HOW DO YOU ASSURE QUALITY WHEN YOU TRANSLATE FINANCIAL DOCUMENTS? Your dedicated translator will proofread their work to ensure it perfectly captures every detail of the original, whether it be a question of FX translations or financial equity research translations. As we operate to ISO 17100:2015 service standards, your financial document translation will then be proofread by a second translator to ensure the highest level of translation accuracy. As financial services is a rapidly evolving international sector, we know it’s important to offer a diverse range of translation services to match the varied needs of our clients. Whether your finance document includes just a few paragraphs of text amongst a sea of figures or requires wordier shareholder report translations that need to be presented fluently and idiomatically, we assign your project to a translator who understands the exact nature of the document in question, so it chimes exactly as it should with the intended readers. Contact our team today to find out how you can invest in your business with word-perfect financial translations in the UK and we will get back to you within the hour. HOW DO YOU GUARANTEE QUALITY TRANSLATORS? We put each of our translators through a rigorous selection process and we only work with translators who have at least 5 years’ experience in financial translations. At our translation agency Glasgow, our linguists only ever translate into their native language, meaning you will be delivered a fluent, comprehensive translation service by an expert linguist who understands the financial industry and can deliver it in a way that is perfectly suited to the target audience. We are also deeply aware of the potential sensitivity of the documents being worked on for financial services projects and for this reason, all linguists working with our translation agency agree to confidentiality terms to respect the privacy and intellectual significance of your work.